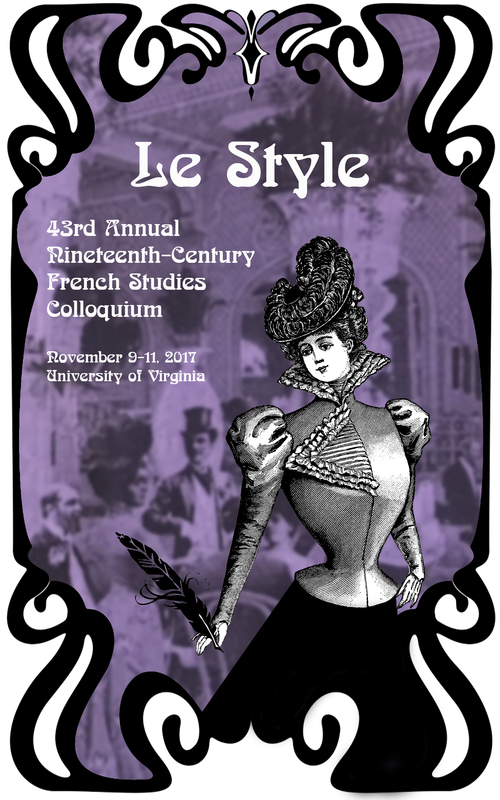 The UVA Department of French is hosting The 43rd Annual Nineteenth-Century French Studies (NCFS) Colloquium at Omni Hotel on the Downtown Mall (Nov. 9-11). Founded in 1974, the association holds an annual meeting in the autumn of each year, in which researchers present their current work in the literature, history, arts, and cultures of France and the French-speaking world. This year's theme, "Style," embraces the often intersecting topics of fashion, lifestyle, self-expression, reading, writing, and poetics. Hosts Cheryl Krueger and Claire Lyu will be welcoming over 200 speakers this year, with the help of Graduate Intern Julia Schrank, and a committee of graduate assistants.